Moreover, as a team, Katherine, Vanessa, and Aurora, placed 38th overall, 23rd in team debate, 120th in collaborative writing, 57th in the team bowl, and were the top team from the region of the Americas and Europe. 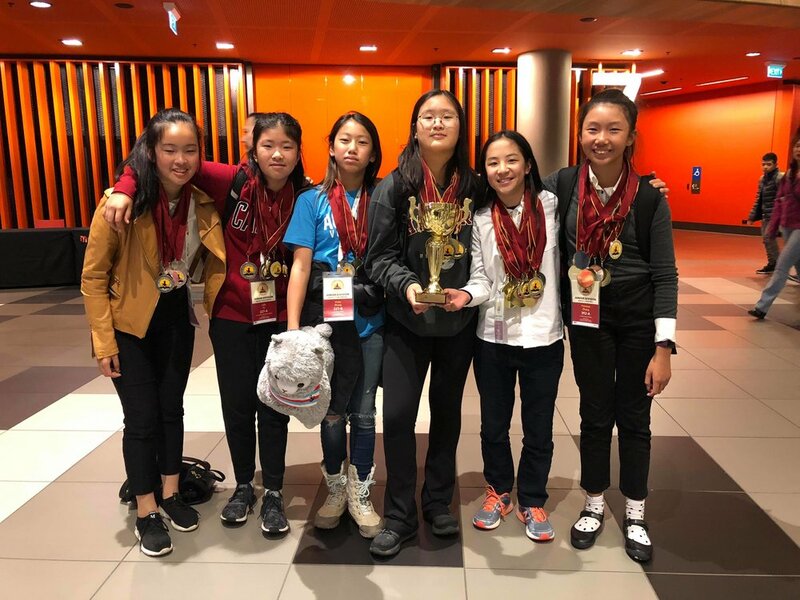 Fiona, Vicky, and Jolin, placed 172nd in team bowl and were the 4th best team from the Americas or Europe. Individually, each of our students did well. Fiona placed 197th in writing and received a silver medal in the Literature academic subject. Vicky placed 295th in debate and received a silver medal in the Art and History subjects while receiving a gold medal in Science. Jolin won a gold medal in the Special Area subject and a silver medal in Art. Vanessa ranked 278th in debate. Aurora placed 208th in debate, 173rd in writing, and received 3 gold medals in Science, Social Studies, and the Special Area subject. Finally, Katherine received 3 gold medals in Science, History, and Social Studies, and placed 27th overall in debate. Her high scores in debate allowed her the chance to participate in the debate showcase with other top speakers in the competition. Moreover, she placed 58th overall, across all 4 categories. We would also like to congratulate Jena Yue and Athens Wu who attended Scholar's Cup with their school. Athens placed 124th in debate and Jena placed 63rd; Jena also placed 51 overall, across all categories. They were on the 71st place team overall and will be going on to the Tournament of Champions at Yale University.